Jaguar has announced the new E-PACE, a compact performance SUV meant to expand the automaker’s PACE lineup. The forthcoming E-PACE is said to have sports car like design elements, agile driving dynamics, and functional, everyday practicality. The E-PACE is the third new nameplate in Jaguar’s already diverse and growing portfolio. The new E-PACE comes on the heels of the already successful introduction of the Jaguar XE sports sedan and F-PACE performance SUV. The combination has proven effective for the British marquee, with a 44 percent sales growth and increase in the United States as of May. With this expansion comes the all-electric variant of the I-PACE Concept, set to enter production next year; the new E-PACE is expected to go on sale at the beginning of 2018 as well. “The combination of sports car looks with Jaguar performance will ensure that the E-PACE stands out,” said Ian Callum, Jaguar’s Director of Design. The Jaguar E-PACE features standard all-wheel drive and the brand’s all-Ingenium lineup of internal combustion engines. The new E-PACE will also offer a suite of connected technologies and other convenience features. Callum emphasized the importance of keeping the E-PACE in tune with the automaker’s design and performance ideologies. “Every Jaguar is designed to excite the senses, and we think E-PACE will do just that, albeit with its own individual character,” he said. Photo & Source: Jaguar Land Rover. 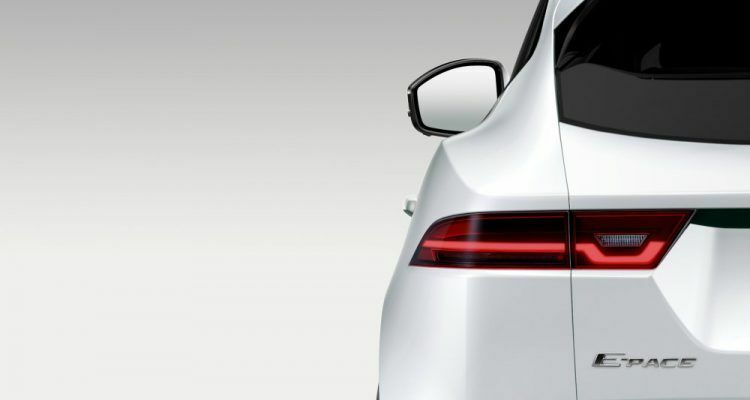 No Comments on "Jaguar To Debut Compact Performance SUV Next Month"